All players, new and old, are welcome to come down and have a hit at our spiritual home ground! Be sure to register via the player registration link above to register your interest in playing for Northbridge in 2016/17. These pre-seasons sessions are not at our usual training venue so that we can run some much needed fielding practice. The normal season sessions will resume at Sydney Boys High School from the first week in October, with actual details to be confirmed. It’s that time of year (unless you were playing Winter cricket of course) where we ask all players who wish to play for Northbridge to register for the upcoming NSCA 2016/17 season. To register, simply head over to our website at our Player Registration Page and complete your details. This is for all players, new and returning, so we can get the up-to-date contact details into the system. We need to know player numbers within the next 3 weeks, so make sure to register now! Players who don’t register will be removed from the email list by that time as well. Information about Pre-Season Training and 2016/17 Fees will be sent out as soon as we have the details. Welcome on board Billy Barry’s Hotel! The Northbridge Cricket Club is excited to announce our sponsorship from our new home base for post-match functions, Billy Barry’s Hotel in North Sydney! Located in the heart of North Sydney’s CBD, Billy Barry’s offers a quality pub and dining experience. Billy Barry’s suits any occasion – whether enjoying our great value lunch and dinner meals, a casual after work drink, or a celebration in our freshly renovated function room. With an easy and relaxed atmosphere, Billy Barry’s is a great place to enjoy delicious meals whilst unwinding with a quiet drink. We offer a wide and diverse range of local and imported beers as well as a great selection of regional and international wines. With a wide selection of sporting events shown live on dedicated screens, Billy Barry’s has something for everyone. So head on down to Billy Barry’s post-match on a Saturday night for a drink, perhaps one of their famous $10 meals, or even in some cases a bowl of steamed veggies (Flanno we are looking right at you!) and discuss the events of the day with your club mates. For more information about Billy Barry’s, head over to their website. Pre-Season Training Starts 12th September! After this the training will be ever Tuesday night, 7:30pm – 9:30pm with the exception of Melbourne Cup week when there will be no training. We are looking at finalising our team nominations this week, so also be sure to have completed the player registration form located at the top of the page as soon as possible. It is a very sad time in cricket at the moment with the news this afternoon that Phillip Hughes passed away, tragically taken far too young. For those in the club back in 2011-12, we had Phillip as our guest speaker at the presso night, and he was one the nicest, most down to earth people you could meet, in particular a famous cricketer. Out of respect for Phillip, could each captain please ensure that all team members have black armbands on this weekend, and have a minutes silence before the commencement of the days play. Take the team out in full uniform prior to commencement and have the minutes silence on the field. If the other teams want to join in, then that would be great. A roll of black electrical tape can be used for the black armbands. And most of all, play this weekend in a spirit deserving of paying respects to a great cricketer tragically lost. RIP Phillip Hughes. Gone far too soon. 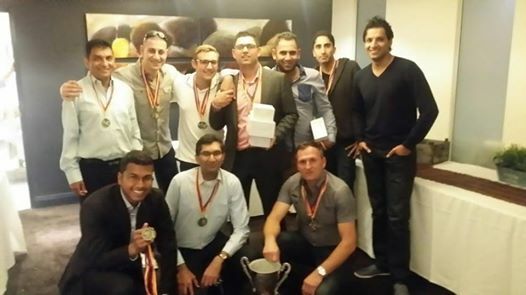 The Northbridge Cricket Club Winter Cricket teams got to collect their trophies and medals on Friday night at the SMCA Winter Cricket presentation night. Both Division 2 and Division 3 teams won their respective competitions over the winter! D Reserve skipper hits his maiden ton! D Reserve skipper, Steve Morrison, has hit his first century over the weekend as the side compiled 9/361 at Gore Creek. Steve managed to hit 111, of which he hit 13 fours and 6 sixes, so not much running required. The boys also have the opposition 3/25 at the completion of the days play, and will look to secure their first win next Saturday when the match continues. Please try entering https://graph.facebook.com/749970255075508/photos?fields=source,link,name,images,album&limit=200 into your URL bar and seeing if the page loads. Please try entering https://graph.facebook.com/754648294607704/photos?fields=source,link,name,images,album&limit=200 into your URL bar and seeing if the page loads.The A Grade side, making their return to turf cricket, went down agonisingly in a tough match against North Ryde RSL at Koola Park. The ‘Bridge suffered from early season nerves on the first day, being bowled out for 128 on a tricky Koola wicket. The word from the troops is that spin played a big part in it, with the skipper mentioning it was the best spin bowling he has faced in a long time. Day 2 was a better day for the ‘Bridge, but ultimately we fell at the final hurdle, with 1 run needed to force the opposition to bat again and only 5 overs left in the day. To make matters worse, we had 2 batsman missing (with one who didn’t turn up at all!). But we fought hard despite this, and will gather momentum for the next round. Facebook API came back with a faulty result. You may be accessing an album you do not have permissions to access. Facebook API came back with a faulty result. You may be accessing an album you do not have permissions to access. At this years AGM, Mitch Whyman was voted in as your president. However, since then Mitch has decided to take a break from cricket administration for this season. We at Northbridge CC would like to thank Mitch for what he has done for this club over the years. We wouldn’t be the club we are without him, working behind the scenes, inspiring us both on and off the field. Temporarily in his place for this season, I will not try and fill his shoes, as you cannot simply replace an administrator such as Mitch, and if I could be half the president of Northbridge CC that Mitch Whyman is then that would be enough for me. I think I could speak on behalf of those within the NCC Executive when I say we wouldn’t be involved behind the scenes within the administration of a club like Northbridge if it wasn’t for him. Thank you Mitch for all you have done for this club, for me and for all the Northbridge cricketers over the years. We hope to see you back soon! Our division 3 side has made it through to the Winter Cricket Grand Final, after a big win against the Kirribilli Crusaders at Artarmon Reserve over the weekend. The division 2 side will play in their semi-final this Saturday at the Gladesville Hospital ground from 10am.